This is a very nice shoe, rounded form but adjusted, our classical derby with an outsole little bit more thin. It is light and comfortable. Non-slip pads & lining included. All our products are made in France in our workshop. Other colors, click HERE. Shipping included to mainland France. This boot with heel (5cm) combines comfort and refinement. Like all our products, this bootie is entirely manufactured in France, in our workshop with exceptional leathers and a unique know-how. Non-slip pads included. Other colors, click HERE. Shipping included to mainland France. Comfortable and very elegant, this heel boot offers you great suppleness with its leather suede caramel. Crafted in our workshop with the exceptional leathers, you will be seduced by the perceived quality. Non-slip pads included. Other colors, click HERE. Shipping included to mainland France. Cavalière very chic with his zip. You can choose it with tailor-made. Measures standards on this link. Non-slip pads included. Frais de port inclus vers la France métropolitaine. Picture no contractual. Customized model +30€ included Customized models can not be returned nor exchanges except in case of shoe size error. Calf black leather boots, which offers good rigidity, leather does not fall. It has the further advantage to resist rain and patina over time. Shipping included to mainland France. Customized model +30€ included Customized models can not be returned nor exchanges except in case of shoe size error. Calf black leather boots, which offers good rigidity, leather does not fall. It has the further advantage to resist rain and patina over time. Other colors, click HERE. Shipping included to mainland France. Discover our "gardiane" boot in fat calf full-grain leather of exceptional quality. Proposed here in a natural color. Non-slip pads included Other colors available, just click here and contact us. Shipping included to mainland France. Discover our "gardiane" boot in black fat calf, full grain leather of exceptional quality. non-slip pads included. Other colors, click HERE 30% of increase beyond size 46 Shipping included to mainland France. 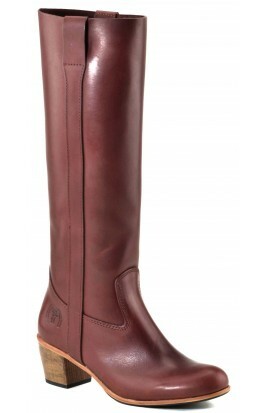 Discover our "gardiane" boot in brown fat calf, full grain leather of exceptional quality. Non-slip pads included. 30% of increase beyond size 46 Shipping included to mainland France. Discover our "gardiane" boot in coffee fat calf, full grain leather of exceptional quality. Non-slip pads included. 30% of increase beyond size 46 Shipping included to mainland France. Customized model +30€ included Customized models can not be returned nor exchanges except in case of shoe size error. 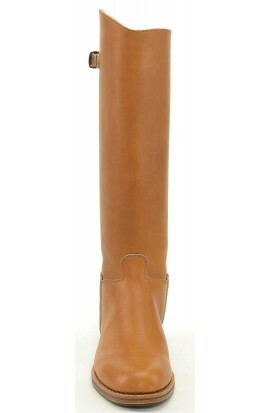 Our "Gardiane" boot, proposed here in beige suede, very soft leather that falls on the leg. non-slip pads included 30% of increase beyond size 46 Shipping included to mainland France. Customized model +30€ included Customized models can not be returned nor exchanges except in case of shoe size error. Discover our "gardiane" boot in blue fat calf, full grain leather of exceptional quality. Non-slip pads included. Other colors, click HERE. 30% of increase beyond size 46 Shipping included to mainland France. Customized model +30€ included Customized models can not be returned nor exchanges except in case of shoe size error. 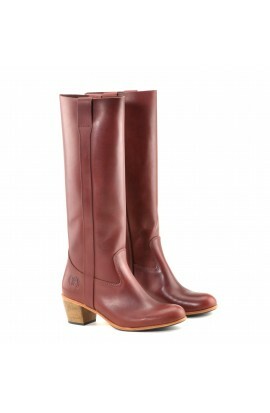 Our "Gardiane" boot, proposed here in cherry suede, very soft leather that falls on the leg. For a stiffer boot, we can (optionally) add a lining.Option: lining of the boot. Non-slip pads included Other colors, click HERE. Discover our "gardiane" boot in black fat calf & black sheepskin, full grain leather of exceptional quality. non-slip pads included. Other colors, click HERE 30% of increase beyond size 46 Shipping included to mainland France. Customized model +30€ included. Customized models can not be returned nor exchanges except in case of shoe size error. Leather boots flat heel, a classic in our collection made in brown calf supple. This full-grain leather, high quality from the best French tanneries. Non-slip pads included. Other colors, click HERE. Customized model +30€ included Customized models can not be returned nor exchanges except in case of shoe size error. Discover our "gardiane" boot in fat calf suede leather of exceptional quality. Other colors available, just click here and contact us. 30% of increase beyond size 46 Shipping included to mainland France. Customized model +30€ included Customized models can not be returned nor exchanges except in case of shoe size error. To custom your shoes with another color choose a standard model and customization option. A little fancy with this leather boots with low heels leopard imitation leather. Other colors, click HERE. Leather boots flat heel, a classic in our collection made in natural calf supple. This full-grain leather, high quality from the best French tanneries. Non-slip pads included. Other colors, click HERE. Shipping included to mainland France.